Michael practices primarily in the areas of capital markets, corporate finance, mergers and acquisitions, securities regulatory compliance and general corporate law. He works with clients in a wide range of industries, including oil and gas, technology and life sciences, and advises clients on various matters, including court approved arrangements, amalgamations, corporate reorganizations, public and private offerings of equity and debt, securities regulatory compliance, stock exchange listings and general corporate law. Michael has experience assisting public and private companies in all stages of the business lifecycle. 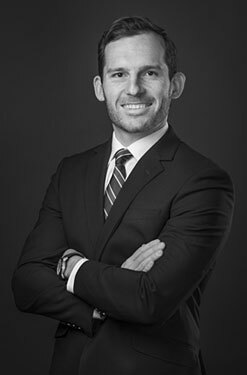 Michael received his Juris Doctor with Distinction from the University of Alberta in 2015 and his Bachelor of Commerce (Finance) with Honours from the University of British Columbia in 2011. He joined Burstall LLP as a Student-at-Law in 2015 and became an associate upon being called to the Alberta Bar in 2016.